On May 2, 2008 Chile's Chaiten Volcano erupted after 9,000 years of inactivity. Now, 4 weeks later, the eruption continues, with ash-, water-, and sulfur-laden plumes blowing hundreds of kilometers to the east and north over Chile and Argentina. 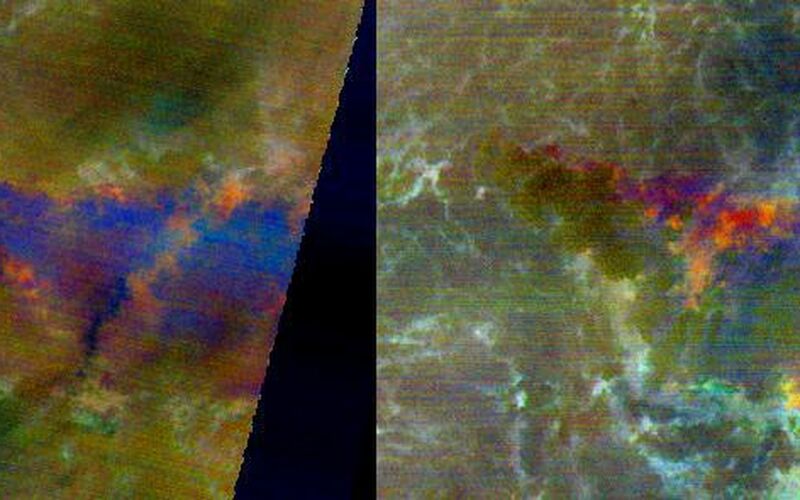 On May 24, ASTER captured a day-night pair of thermal infrared images of the eruption, displayed here in enhanced, false colors. 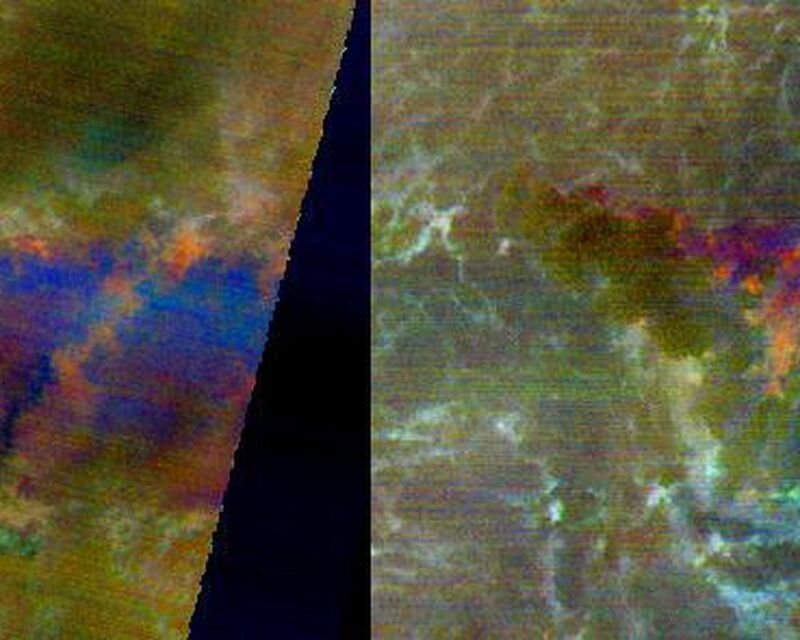 At the time of the daytime acquisition (left image) most of the plume appears dark blue because it is too thick for upwelling ground radiation to penetrate. At the edges it appears orange, indicating the presence of ash and sulfur dioxide. 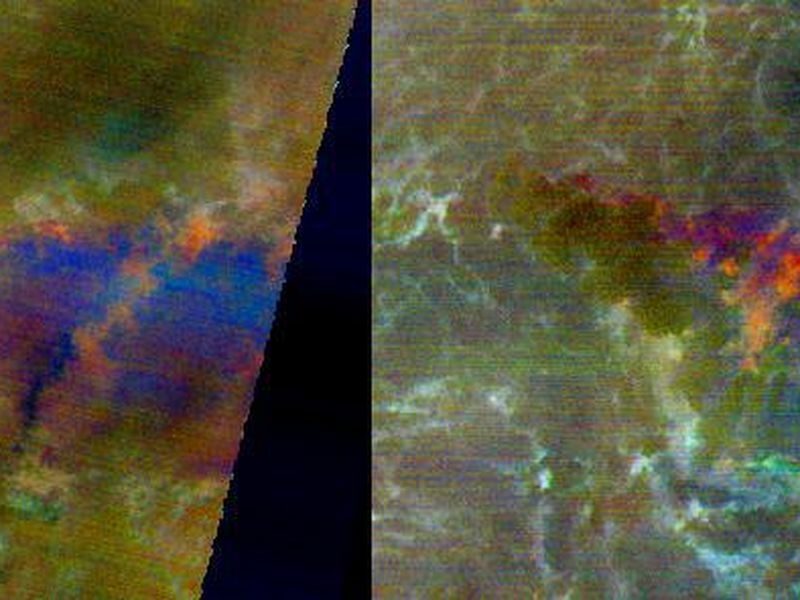 In the nighttime image (right), the plume is orange and red near the source, and becomes more yellow-orange further away from the vent. The possible cause is that ash is settling out of the plume further downwind, revealing the dominant presence of sulfur dioxide. The images were acquired May 24, 2008, cover an area of 37 x 26.5 km, and are located near 42.7 degrees south latitude, 72.7 degrees west longitude.